Gun violence is a real concern in our country today. Many South Africans have personally had a violent encounter or know of someone who has. Local online news hound, The Daily Maverick published an article in early December 2018 on ‘fast tracking search warrants in hunt for illegal firearms’ in the Western Cape. During the 2017-2018 period, the Western Cape recorded 10 murders a day and 10 attempted murders a day. There were also 19 reports of sexual offences daily and nine reported counts of illegal possession of firearms and ammunition a day. More than 80% of all gang-related murders in South Africa occur in the Western Cape and innocent bystanders are often hurt or killed in the crossfire. The community safety department has launched a hotline where people can be rewarded R10,000 for anonymously reporting an illegal firearm which is handed over the police as a result, more than 70 calls have been received which could lead to the confiscation of illegal firearms and ammunition. Gun Free South Africa’s Adele Kirsten says the illegal guns tip-off line is a good initiative and local knowledge is crucial to finding out where illegal guns are kept. 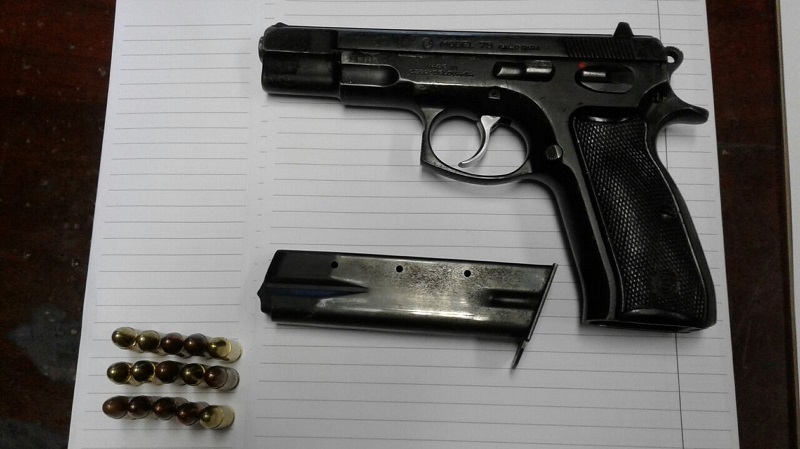 On the Cape Flats in particular, a key task for the SAPS is to recover and remove illegal firearms and ammunition. But Winde said the police stationed in gang-ridden communities are not adequately resourced. ‘Communities are crying out for visible policing and faster response times. Police Minister Bheki Cele has already shown that addressing crime in this province is not high on his priority list, and he excludes this province from his engagements, said Winde. The national police department had held a press briefing to report back on the successes of the recently launched anti-gang unit and did not invite the province. Cele’s spokesperson, Reneilwe Serero said the police minister’s briefing “was not a closed event” and Winde and his team could have attended if they had wished to. A recent report by EWN says that more than 110 gang-related arrests have been made since the anti-gang unit was formally launched at the beginning of November (2018). The anti-gang unit is comprised of members from specialised units who weaken the capacity of gangs and disable the criminal economy linked to gangsterism and firearm supply lines. Winde acknowledges the achievements of the specialised unit but insists that general crime fighting efforts have been ‘crushed’ due to national government radically depleting the number of police officers in the Western Cape. Nationally the average is one officer to every 369 residents. In Cape Town, there’s one police officer for every 560 residents, according to Winde. “It’s obvious that the resources allocation is wrong. The decisions made at the national level are wrong. Stop playing politics with crime; people deserve to have efficient, effective policing,” he said. Serero told Daily Maverick that the national police department is well aware that under-resourced stations and a shortage of police personnel was not unique to the Western Cape. According to Serero, 5,000 newly trained officers will be deployed in 2019 and their distribution will be determined by provinces in need, rather than equally spread among different regions. Gun Free South Africa will release a report this year on the history of gun control in democratic South Africa. It expects an amendment to the Firearms Control Act in 2019. “Gun Free South Africa has been collecting data and information and trying to get a 20-year retrospective on what has and has not worked. As we go into 2019 we need to look at the current climate where we see 23 people shot and killed every single day. Our report will help policymakers understand the trajectory of gun control and what we need to do moving forward,” said Kirsten. Those based in the Parow/ Bellville area will be aware of the challenge which illegal firearms has presented recently. We fully support the City’s initiative to regain control on the situation and are grateful to those in the community who support the initiative.